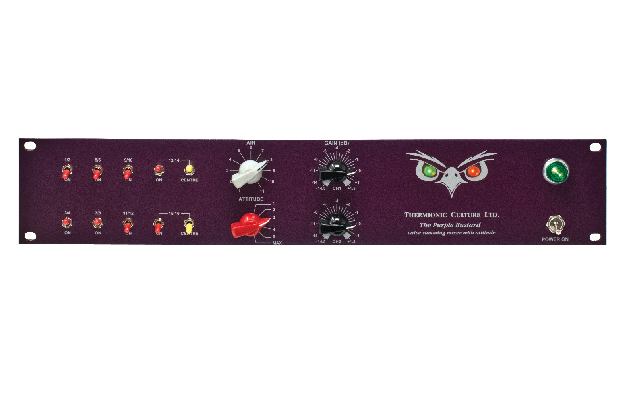 Following on from the phenomenal success of The Fat Bustard summing mixer whose features include Attitude, EQ, stereo width, and of course a big fat sound, we find there’s a demand for a similar warm sounding summing mixer with more channels at a lower price, keeping the unique Attitude control. 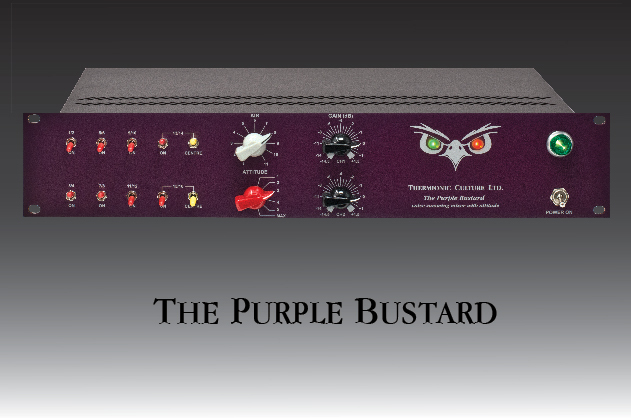 Enter The Purple Bustard. This new unit utilises the same input circuit and Attitude section as the Fat Bustard, using the same type twin triode valves. Instead of having eqs and Stereo Spread, etc., there is only the “AIR” control which works on the very high end. Because the unit contains no solid state in the audio path, the use of this control will enhance the sound with a lovely velvety sheen typical of the best all-valve equipment with none of the harshness found in some solid state units. The output stage is very similar to that of The Fat Bustard, except that for reasons of space and heat, smaller double triodes are employed. All valves are “mil spec” NOS types. 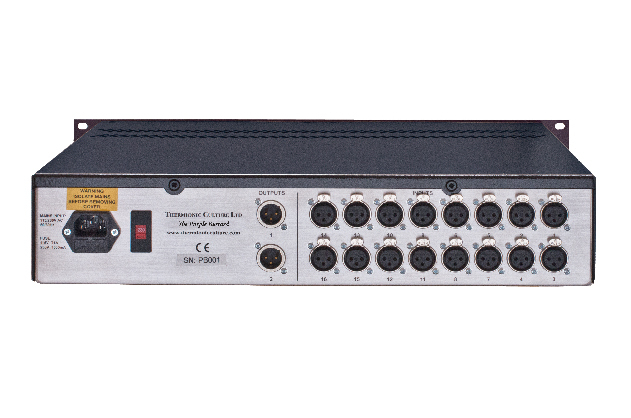 The max output level is still well above +20 dBv, adequate for any DAW. All inputs and outputs are on XLRs, with inputs “semi floating” and outputs unbalanced. A balancing box containing 2 Sowter transformers is available if required at additional cost. There are 8 toggle switches to switch in pairs of channels, and 2 more toggles to switch channels 13,14,15 & 16 to make 4 mono channels. AIR, a rotary pot, ATTITUDE, a 6 position switch, and a matched pair of pots controlling output levels. There’s also a mains power switch and of course The Purpl Bustard’s eyes light up and go bloodshot as the sound gets louder! The frequency response goes well above and below audio range until the Attitude is set to at or near max, similarly other specs are practically the same as The Fat Bustard, except cross-talk, phase shift and signal to noise are slightly better as there is no eq. etc.